How often is it that you find a piece of older furniture on Craigslist or at a garage sale that needs to be infused with new life? Carter Averbeck knows a thing or two about putting a new twist on older furniture. 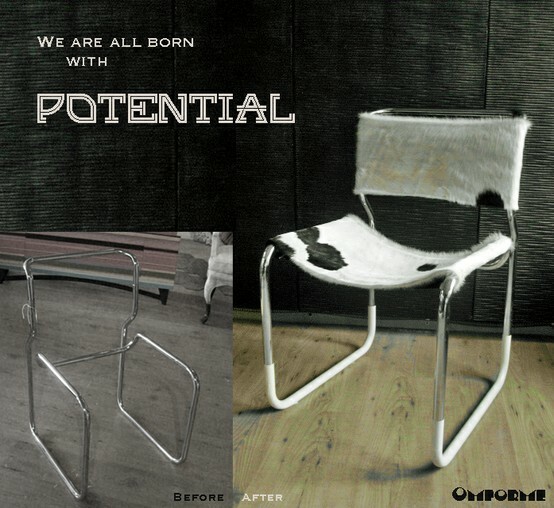 Starting as a hobby, Carter soon saw the demand for his transformed pieces increase and started his business, Omforme. I had the chance to interview Carter via email and learn more about his process. Read on after the jump! Just by chance, I happened to walk by Greg Sargent’s office this weekend and discovered his project, Tweet Tweet Home. The birdhouses, made of 100% recyclable plastic, are meant to hang outside and serve as an actual shelter for birds. These fun. colorful abodes retail at Patina, The Walker Shop, Bibelot and Rosackers Florists. 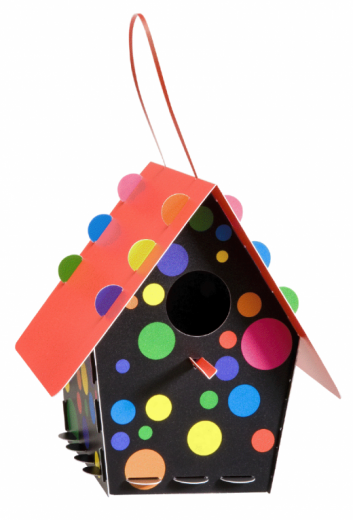 Check out the full assortment of colors and shapes at Tweet Tweet Home’s website. Last week I stumbled across this great video of local designer Cy Winship from Cy Winship Design, sharing his design process. His philosophies on design will ring true for many designers. One important point he brings up is wanting the homeowner to feel better in his or her own home, while still being open to taking risks to make the room more exciting. After watching this video, I want you to chime in: What sort of philosophies do you think are important in the design process? What practices does a good designer use to transform a client’s room? 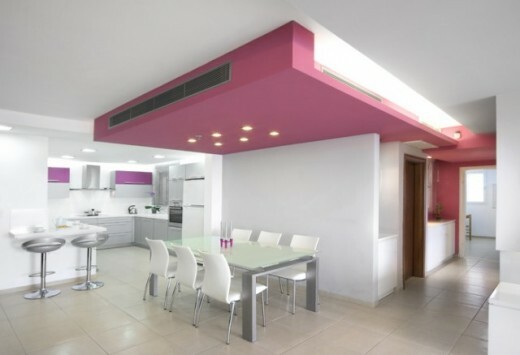 So you have a large, open space and you have no idea how to add some pizazz to your safe, neutral walls. 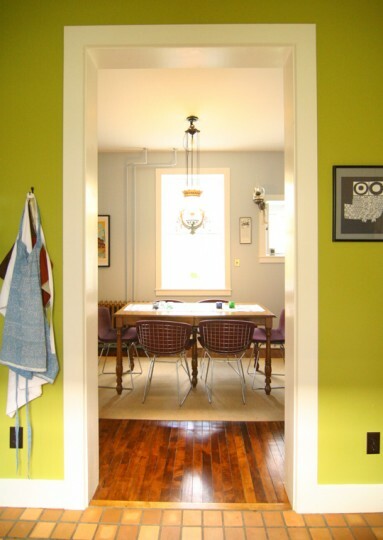 You find inspiration in shelter magazines or in blog posts, such as Annie’s Colorful Abode or Casey’s Loft. You walk into the paint store, pictures of your room in hand, intent on picking out a color that does not have the words “tan” or “gray” in the paint color name. Then you arrive at the wall of paint chips…you then go into that glazed deer-in-the-headlights look. Where to start? Luckily local paint store Hirshfield’s has the know-hows in their recent blog post on adding colored accent walls. 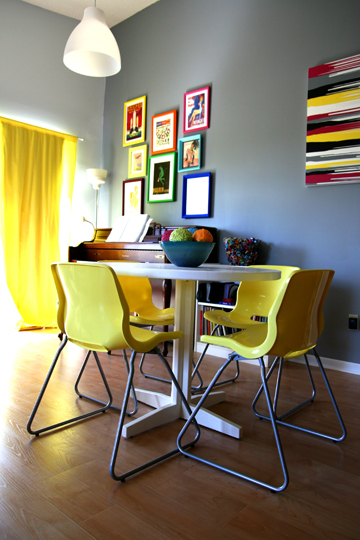 Head on over to Hirshfield’s Color Club blog to find out how to add some hue to your walls!